Hello my blog friends I have missed you! I have been crazy busy with school and haven't had time to sit and write a proper post the last two weeks (I like to schedule posts and you have been reading those!) While I haven't been shooting for the blog a lot I have been doing tons of instagramming so I want to catch you up on where you can find the information I am talking about and what I am wearing! 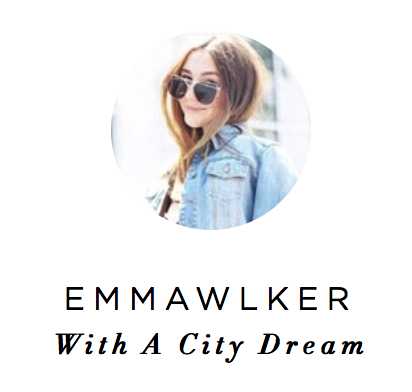 Follow me here (@emmawlker) to stay up to date on alllll the fun. SO excited that Denver has a new music festival! You can find more information on Grandoozy here! Also this is one of my favorite dresses - it comes in four colors and is seriously affordable. My friend Sam (@Samtrab) came to visit me this past week and we had so much fun! I took here to all my favorites spots including Vail, Union Station and Red Rocks. 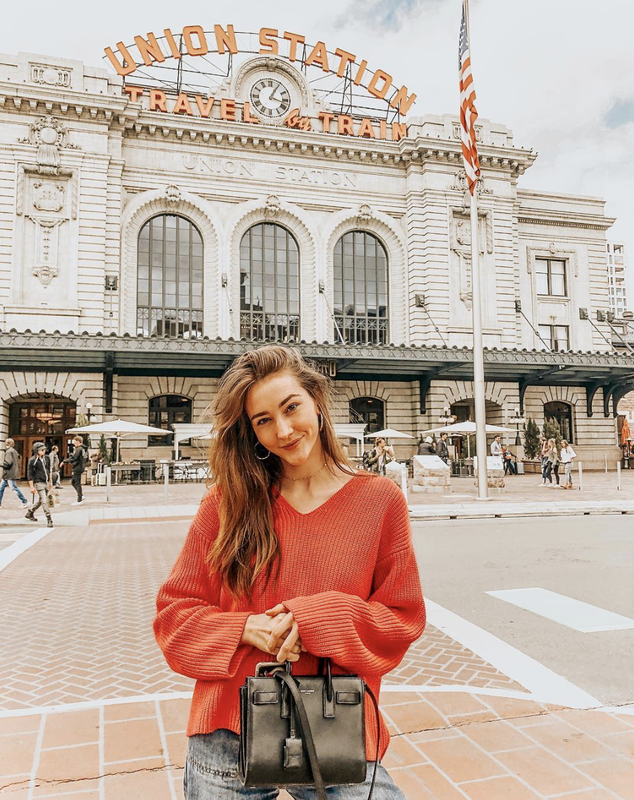 This sweater is one of my favorites and actually hot pink from H&M but is sold out so I link my other favorites below! Because my feed is so white and bright my first step is always to crank up the brightness on my image. Call me crazy but the only app that I think does this without making my image a blurry mess is Instagram! You can see just how good of a job it does from taking my dark picture to something I would post. Honestly, you could stop here if you wanted but I of course take it further. Ok, don't freak out but I really do LOVE facetune. Not for the reasons you make think though. I use facetune for three main things 1) Detail which is what I did in this case. The detail took is perfect for eyes and hair to make them pop. If you look closely you can see the difference between our hair in the two images. 2) Whiten this is my secret weapon any creak or kinda-white wall gets a big hit of this tool! 3) Smooth often times iPhone images that are edited too much create a pixelated look and is not cute on things like arms and legs so I use the smooth tool it give them a nice finish! If I am putting a filter on my image this is the only app I trust. I find that putting this "lite bright" filter from A Color Story on my pictures is the best finishing touch. 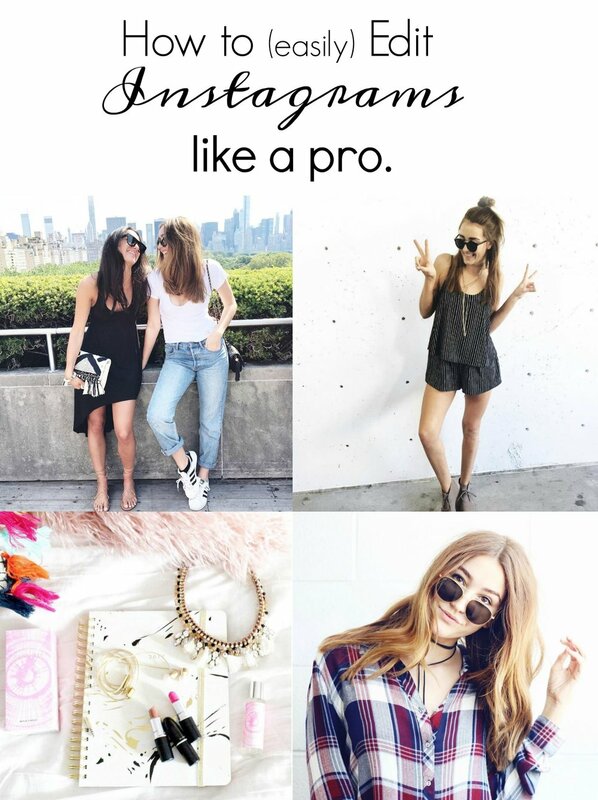 It also helps in the grand scheme of things to keep images looking cohesive on your feed. This app also has other great filter options for when you want to have a warm, cool or really any tone image. Easy to use and inexpensive upgrades!